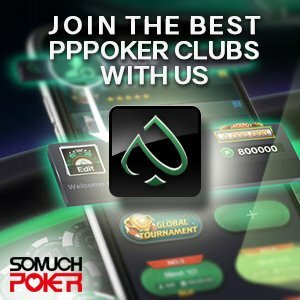 In Guo Dong short poker tournament career, he has achieved more than many players have in 5 years of playing. His excellent form has seen him quickly rise to become one of the most successful players to emerge from China in recent years. Guo Dong‘s biggest cash to date was when he placed 29th in the WSOP 2014 Main Event for USD$230,487. November of the same year saw further success for Guo at the ACOP festival, where he took 9th place in the ACOP Warm Up Event and took home almost USD$20,000. Two days later, he finished 26th in the ACOP Main Event for just over USD$26,000. July 2015 led to another deep run in the WSOP Main Event, where Guo finished 199th for USD$40,433. On November 2015, Guo Dong once again saw ACOP success, when he bettered his colleagues by placing 1st during the ACOP Warm Up Event. He took home USD$176,863 for this achievement. Guo Dong still has some way to go before cementing his place as one of Asia’s best tournament players, but he has certainly exhibited an impressive performance so far. In February 2016, Guo Dong was chosen by Celina Lin to represent the Hong Kong Stars in the Global Poker League. On October 2016, he was champion of both the WPT Korea National High Roller Event and Asian Poker Tour (APT) Macau Main Event and took home USD$81,248 and USD$68,315. If he continues in this streak, he will quickly become one of the best tournament players that China has ever produced. He is currently a sponsored pro player of Tencent Poker.